Edward’s practice focuses on all aspects of civil litigation. 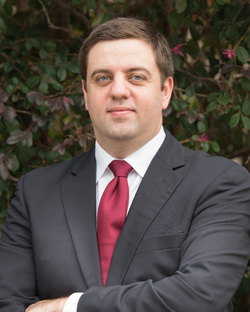 Prior to joining Jesson & Rains, Edward worked at major law firms in the fields of insurance coverage, bad faith, professional malpractice, construction defects claims, commercial litigation, complex securities fraud, and insider trading actions. He has extensive experience in both federal and state courts. Edward was named to the Business North Carolina Legal Elite list for the Construction category in both 2018 and 2019. Less than three percent of all practicing attorneys in the state were selected as Legal Elite. In 2019, Edward was named to the North Carolina Rising Stars list for Super Lawyers for Construction Litigation. Only 2.5% of attorneys are selected to Rising Stars. Co-Author with Donald I. Baker, Adam Smith, Modern Networks and the Growing Need for Antitrust Rationality on Competitor Cooperation, *Competition & Regulation," Year II, No. 6, April-June 2011, pp 39-60.